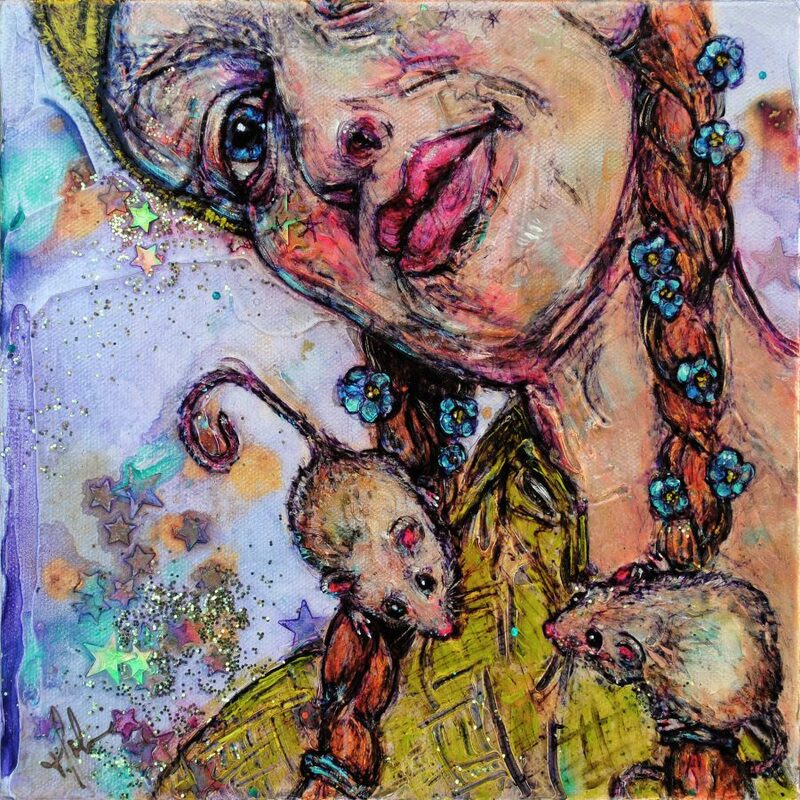 I began the Project celebrating hidden magick in 2009, with a series of “Inner Portrait” mixed-media paintings. G the Incognito Witch was introduced in 2010 in the first of many short films, dance and music videos. In 2014, my film character, Ginger Anxiety, became the first “Selfie” portrait. In 2016 I launched Incognito Witchlings limited edition resin art toys and sculptures. Incognito Witch Selfies submitted by the public for painting reference consideration have emerged as the perfect vehicle for folks worldwide to participate. “There was no stigma, no judgment. I’ve never felt more safe and accepted.” – Selfie-submitter, Incognito Amanda, New Zealand. 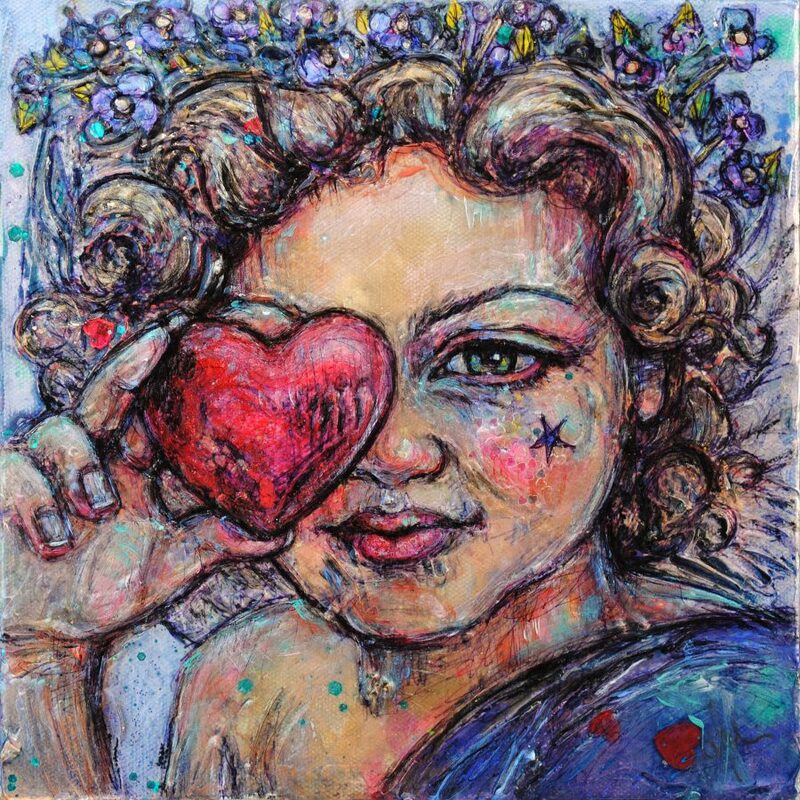 I see my art as a way to promote self-acceptance, laughter, play, healing, community and personal possibility. The inner magick message resonates with like-minded individuals, participants, and organizations that support a mission to change the world through art. “Dancing in music videos is not something that people who look like me do. Being an Incognito Witch Dancer helped me break down personal barriers, and helped me realize we are all vulnerable and need friends and community to support us.” – Incognito Patricia, Phoenix, AZ. Creation of unique work with a message — combined with lived, felt, reported impact — moves me deeply and moves me forward.